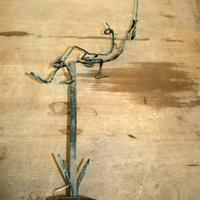 Small scale armature of Princess and Unicorn made of wire and metal. 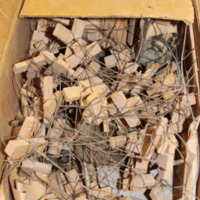 Box of 10 hand armatures of various sizes. 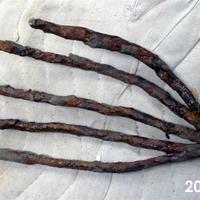 Five fingered hand armature made of metal. 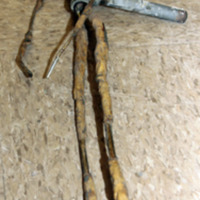 There is some clay residue on the armature. 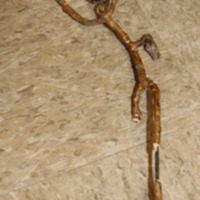 Armature for hand and part of wrist with only four fingers. Metal and wood. Armature for a hand made of wood an metal for the fingers. A box of butterflies for making head armatures. 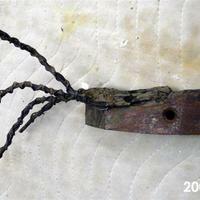 Made of wood and metal wire. 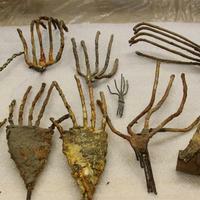 Metal armatures of Sea Gulls. There are a total of 4 and each is marked by a roman numeral I, II, III, and IV. 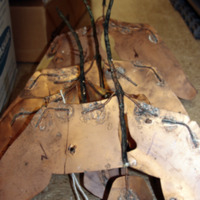 Metal and plaster and tape armature of human figure. 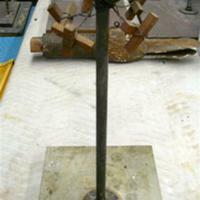 Armature of human figure. 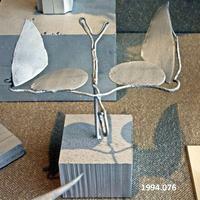 Made from metal plaster and possibly tape.